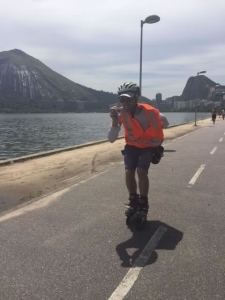 Day two saw us skating clockwise around the Lagoon, 6 blocks behind Ipanema beach, on quiet cycle paths with ‘interesting features’. We did a lesson on uphill crossovers using a challenging left/right turn combo. 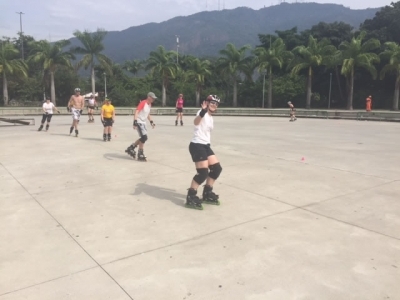 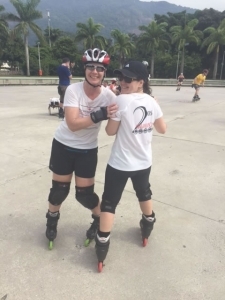 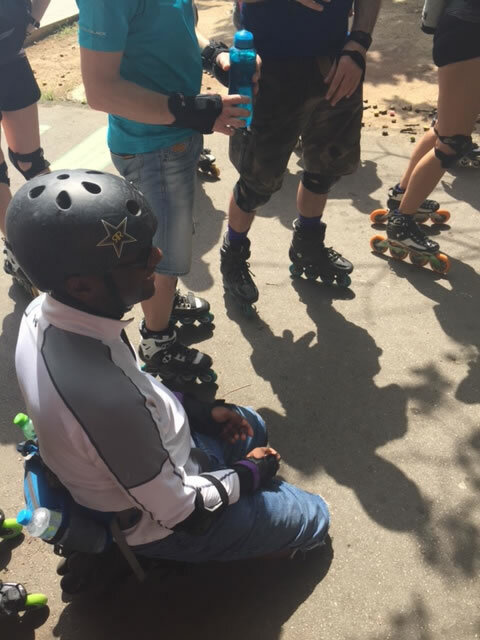 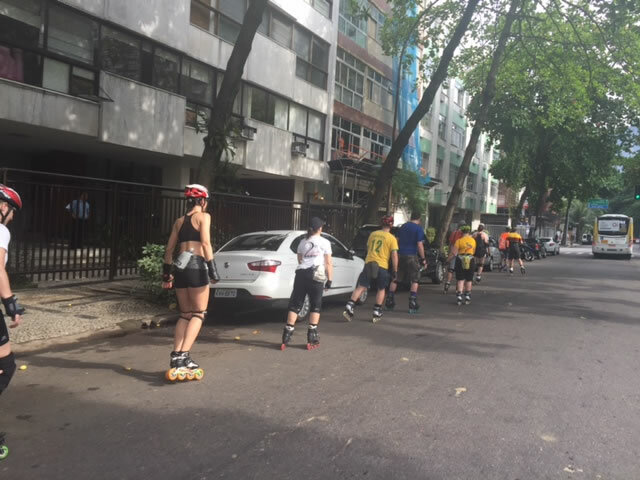 At the skater’s rink we continued classes with fast enormous crossovers, which for London people was a delight after the constrictions of Serpentine Road! 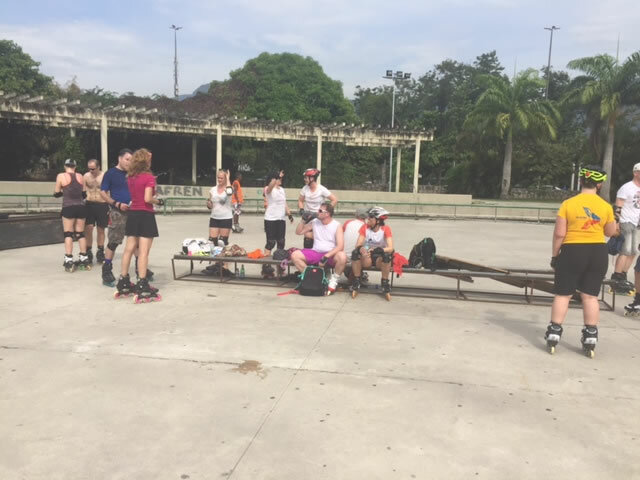 We then looked at Lunge turns and Lunge Stops until the heat was so hot and strong we abandoned for coconut water in the shade. 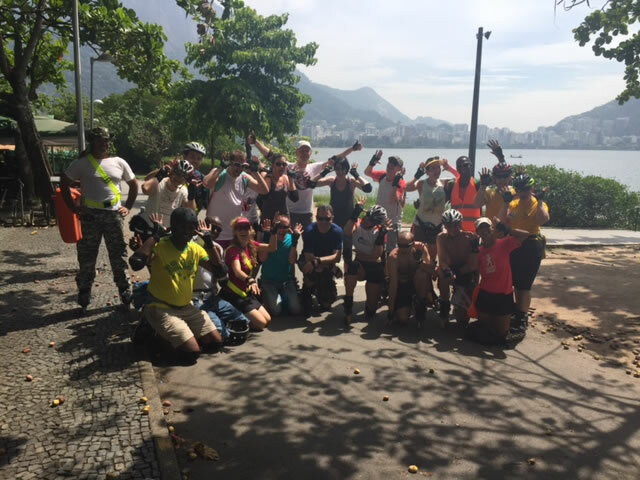 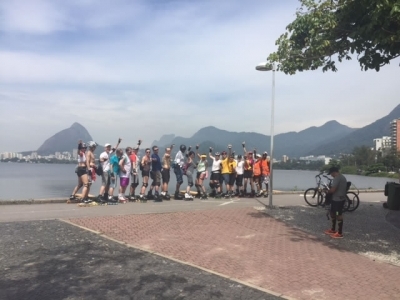 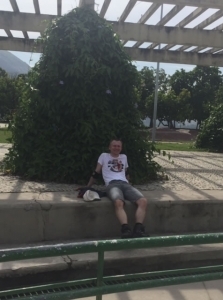 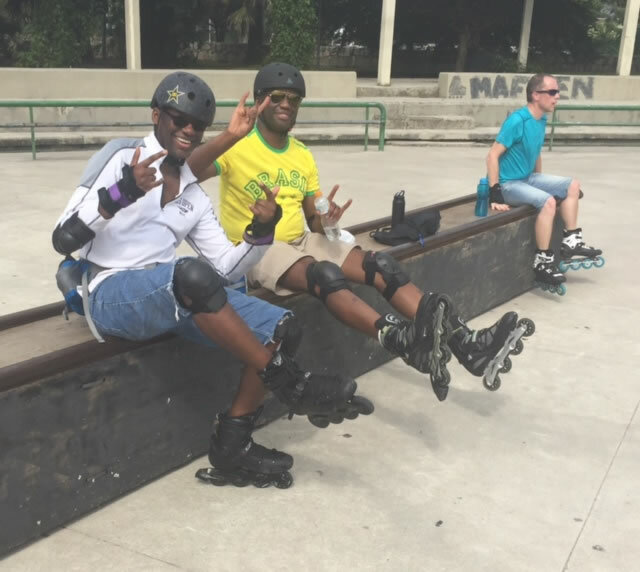 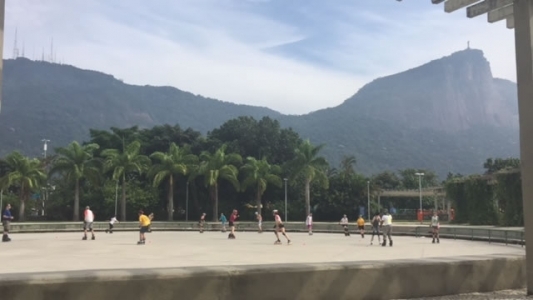 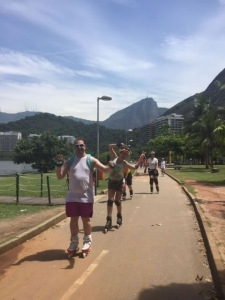 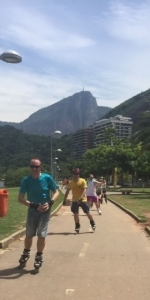 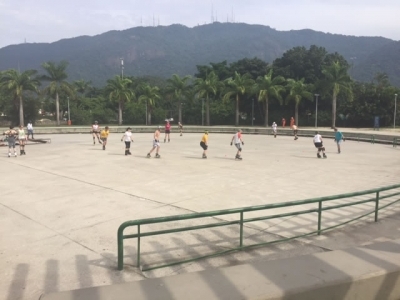 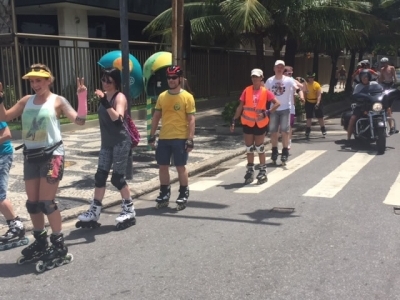 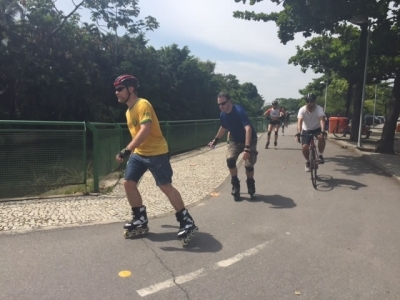 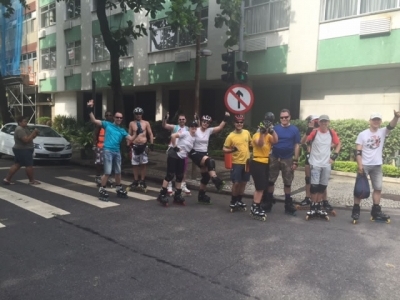 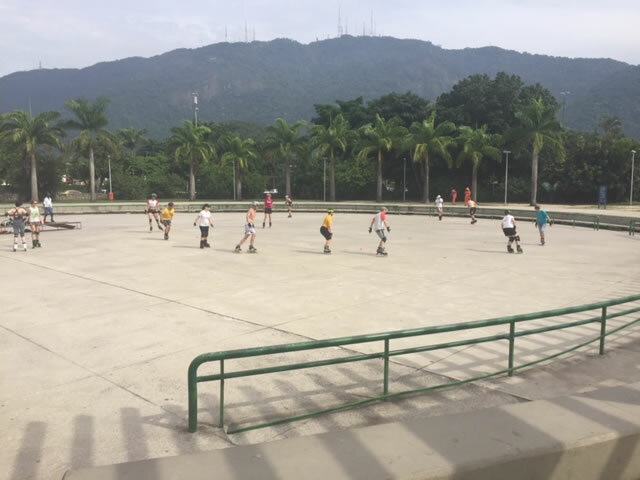 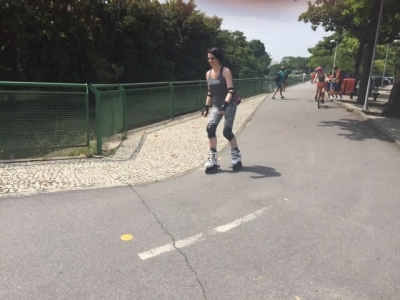 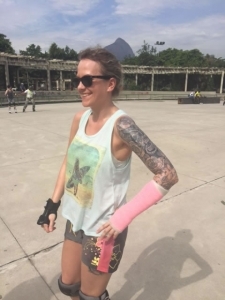 We skated some streets without incident (Brazilian drivers still not used to skaters in the streets) and returned along the beach feeling like we’d properly stretched our legs and went somewhere. 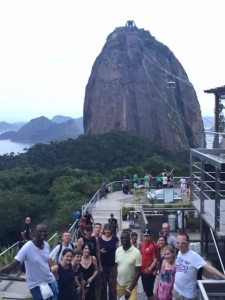 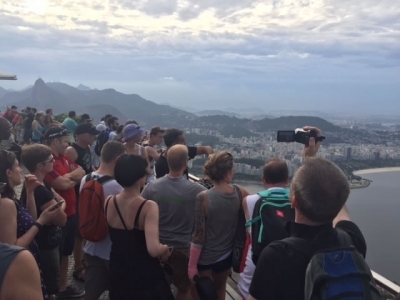 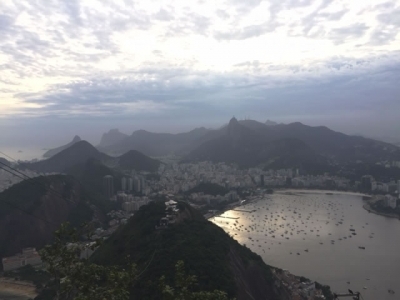 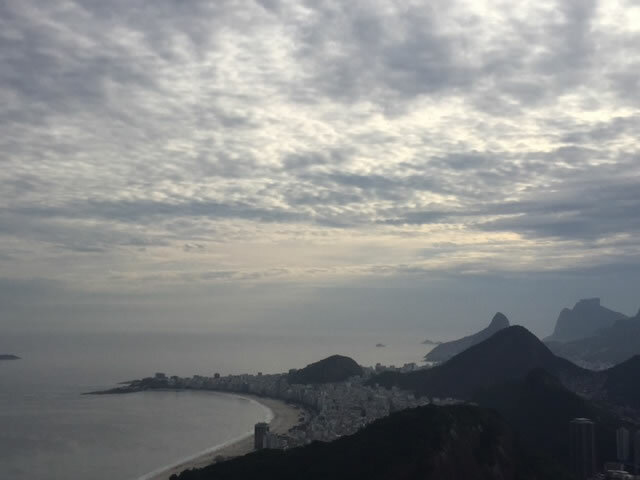 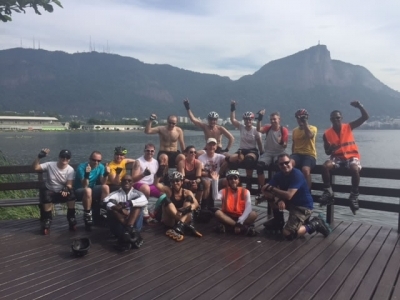 The Sugar Loaf mountain is always breathtaking and todays pale pallet made for stunning light on water and clouds. We could plot our future skate trips from up there and see where we would be skating across the bay on Friday and along the seafront on Sunday our last day. 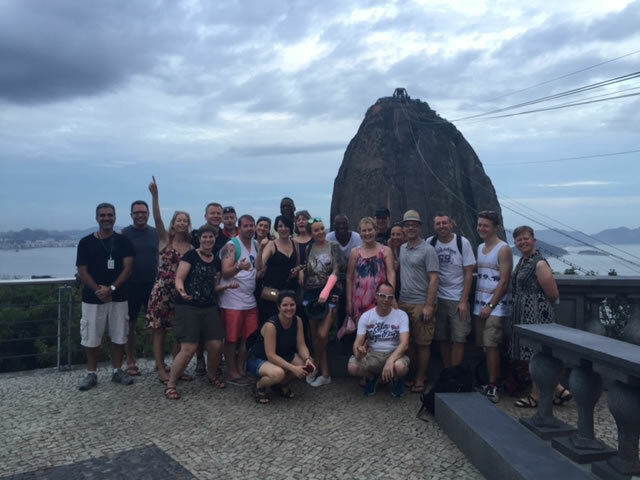 We finished with Caipirinha in various versions (lime, passionfruit, mango, with Cachaca, vodka or Sake). 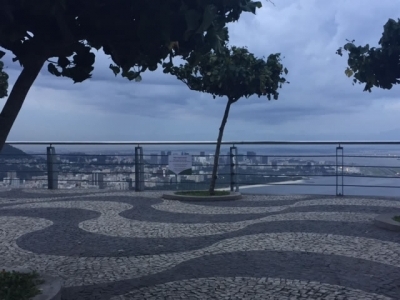 Delish and took us right up to when the heavens opened, tropical storm once again for the 3rd night running. Getting wet here is a hilarious excessive experience usually filled with much giggles. 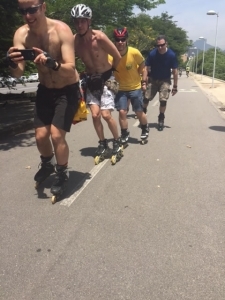 Just another day in Rio.